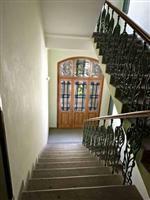 Located in Prague city centre, within walking distance of Wenceslas square and only 2 stops by tram from the historic area, the residence Astra Krasova II is an ideal starting point to discover this wonderful city. In the neighbourhood there is the beautiful park called Riegrove sady, and many good quality low-budget pubs and restaurants as well as Prague's most famous night clubs. The apartment can accommodate up to 6 people, and is equipped with all conveniences in order to ensure a pleasant stay. Free Internet access is available to guests throughout the property. During the New Year's Eve a minimum stay of 5 nights is required.